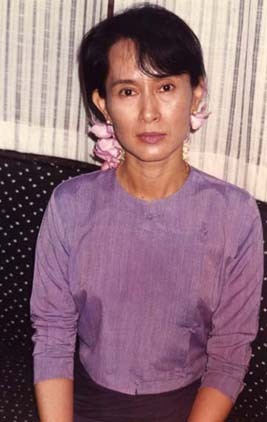 1991 Nobel Peace Prize Winner, Daw Aung San Suu Kyi. 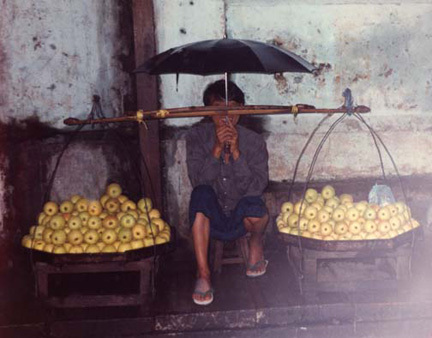 In 1990 her party, the National League for Democracy, won 85% of parliament's seats, when the military junta (SLORC) arrested and imprisoned her, negating election results. 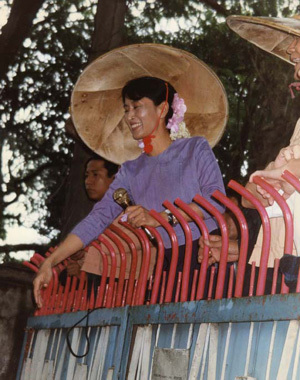 Daw Suu Kyi speaking to supporters and sympathizers over the gate of her family home where she's been a prisoner for 18 years. 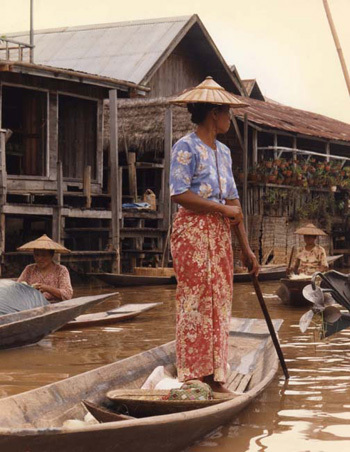 International outcries and economic sanctions haven't freed her, nor altered Burma's human rights violations nor its limitations on personal freedoms.